Select the correct verb or verbs to complete the sentence. 1. 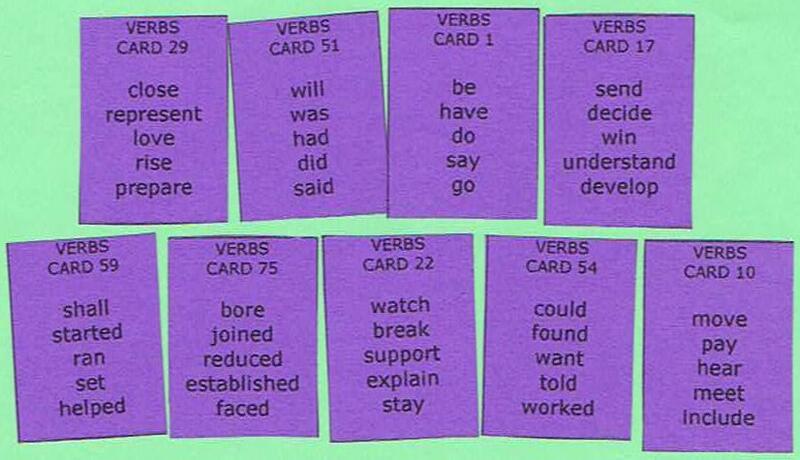 Please (VERBS CARD 13) me (VERBS CARD 2) when you (VERBS CARD 1) out. 2. One person (VERBS CARD 51) (VERBS CARD 78) in that car accident. 3. I (VERBS CARD 56) to (VERBS CARD 12) this bag, but I couldn't. 4. He (VERBS CARD 74) down trees. 5. I (VERBS CARD 15) that he will (VERBS CARD 3) to (VERBS CARD 9) the game. 6. They (VERBS CARD 54) to (VERBS CARD 22) the World Cup games. 7. I (VERBS CARD 17) what you (VERBS CARD 1). 8. Our boss (VERBS CARD 75) our (VERBS CARD 10) because of the recession. 9. They (VERBS CARD 59) their own shop one year ago. 10. (VERBS CARD 51) you (VERBS CARD 29) for the test tomorrow? 11. I ( VERBS CARD 90) that his business would succeed. 12. Since I had my bag stolen, I had to (VERBS CARD 18) the situation to the police. 13. Because of the storm, the building (VERBS CARD 100) down. 14. His opinion does not neccesarily (VERBS CARD 7) true in foreign countries. 15. I (VERBS CARD 59) into my old friend on the street. 16. Does this price (VERBS CARD 23) all the accessories? 17. This course is (VERBS CARD 87) for people who (VERBS CARD 19) to be trained in a short time. 18. Though I (VERBS CARD 56) to talk to him, I couldn't (VERBS CARD 19) him. 19. We (VERBS CARD 80) to deal with the problem. 20. That made me (VERBS CARD 38) why it happened.